Constructs a new renderer with no tooltip or URL generation. Constructs a new renderer with the specified tool tip and URL generators. Returns the fraction of the domain position between two points on which the step is drawn. Sets the step point and sends a RendererChangeEvent to all registered listeners. toolTipGenerator - the item label generator (null permitted). Returns the fraction of the domain position between two points on which the step is drawn. The default is 1.0d, which means the step is drawn at the domain position of the second`point. 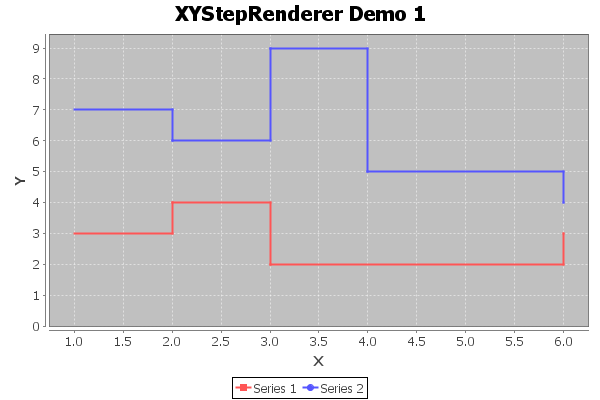 If the stepPoint is 0.5d the step is drawn at half between the two points. The fraction of the domain position between two points where the step is drawn. dataArea - the area within which the data is being drawn. rangeAxis - the vertical axis.